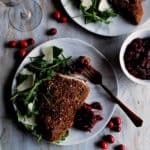 Kicking off this weekend with a simple chicken recipe that is so festive, you’ll want to make it for all your upcoming dinner parties: pecan crusted chicken with cranberry mostarda. I’ve been really feeling like a good chicken dinner this week, so I thought it’d be the perfect time to share this pecan crusted chicken. 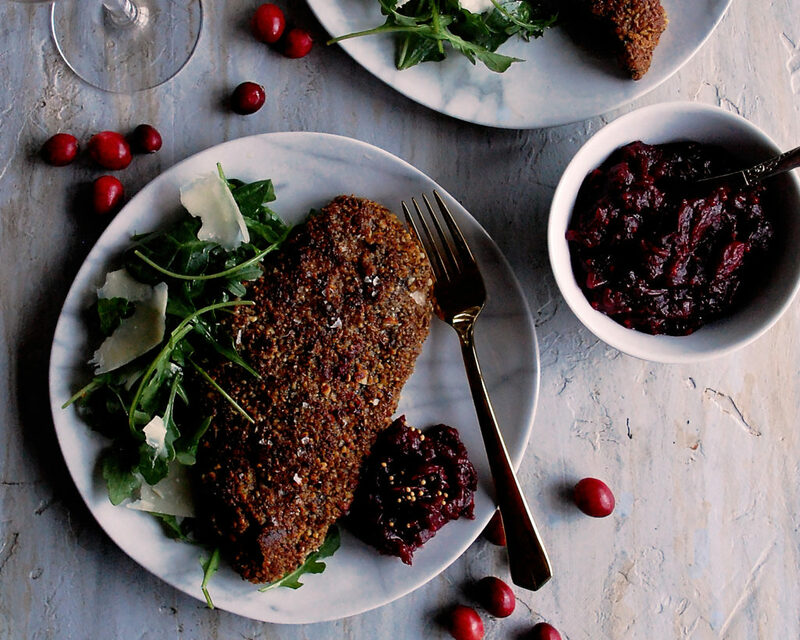 It is simple and quick enough to make on any old week night, but also special enough to make for a holiday gathering. The elegant flavors of this dish will have you making it all winter long. And the best part? I’ve paired it with DRY Sparkling’s holiday cranberry soda! First off…can we just talk about how beautiful and fun DRY’s celebration bottles are!? 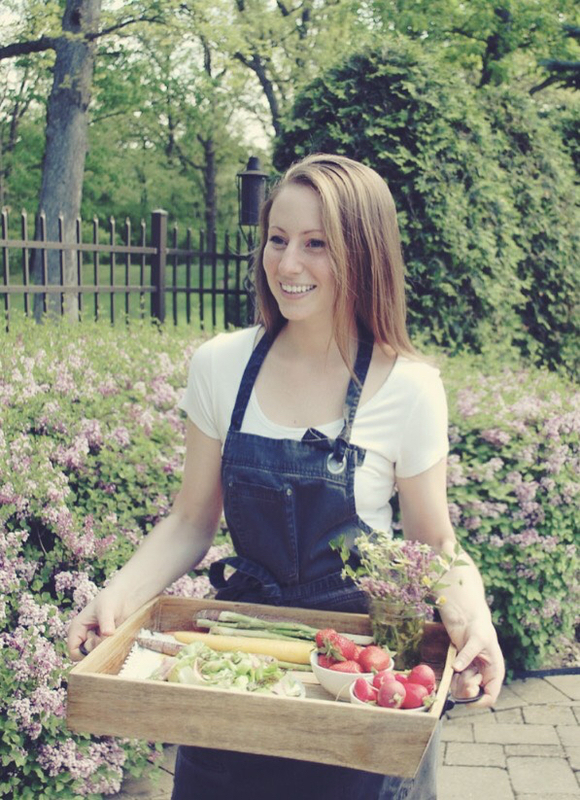 I worked with DRY over this past summer to create a really exciting summer menu, so it’s awesome to now get to see what they have in store for the holiday season. The limited edition celebration bottles come in cranberry and ginger. Not a single one of their flavors disappoint, but I am especially loving the cranberry right now. The thing about this soda is that you can tell it’s expertly crafted. The flavors are balanced, the finish is really crisp and smooth, and the sweetness is not overpowering at all. It’s such a pleasant soda to sip on during the holidays. And when it comes to recipe pairings, I think this one takes the gold. 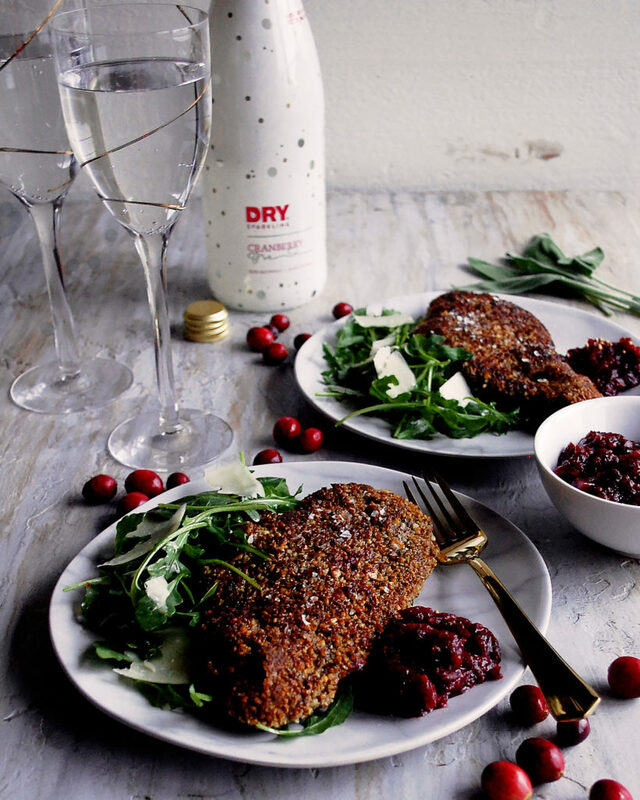 The rich, warm flavors of pecans and sage pair perfectly with the crisp cranberry soda. And then the mostarda adds another layer of tangy, sweet flavor to highlight the cranberries even more. I think you are going to love this! I also haven’t crusted chicken with a nut-based mixture in a while, and I forgot how much flavor it adds. This chicken came out of the oven super tender and juicy, with a beautiful aroma of toasty pecans in the air. 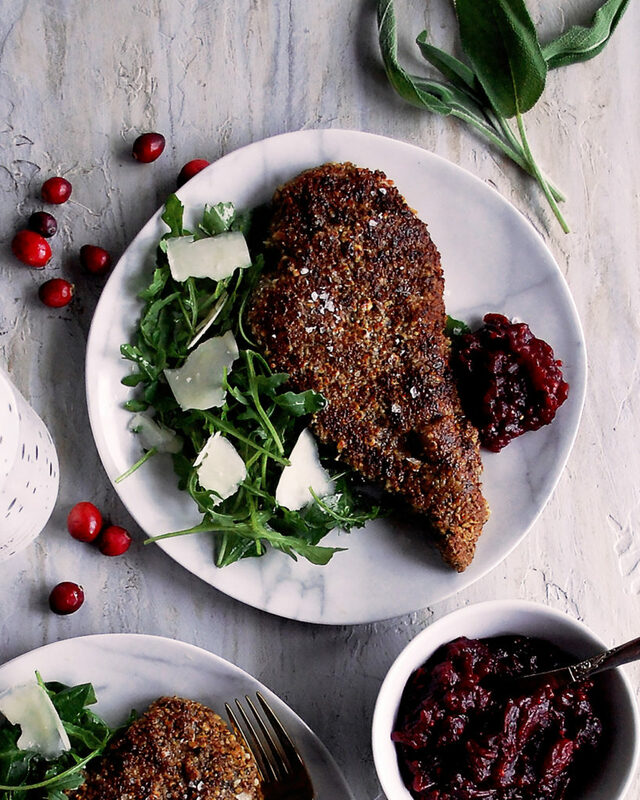 I can’t wait to make this pecan crusted chicken again over the weekend (and I think a winter barley salad would be the perfect addition)! Combine the cranberries, brown sugar, apple cider vinegar, water, Dijon mustard, yellow mustard seeds, and salt in a saucepan. Bring to a boil over medium heat, stirring often. Once the cranberries begin to burst, reduce the heat to low and simmer until the mostarda is thick and jam-like. Add more water along the way if needed to maintain a jam consistency. Combine the toasted pecans, toasted almonds, and sage leaves in a food processor. Process until fine crumbs. Pour the mixture into a large, shallow bowl. Pour the flour into a separate large, shallow bowl. Crack the eggs into another large, shallow bowl. Beat the eggs and season them with a pinch of salt. Preheat the oven to 375°F. Place the chicken breasts between two pieces of plastic wrap. Use a meat tenderizer to pound the chicken breasts into ½” even pieces. Remove the plastic wrap and season the chicken with a pinch of salt. Dredge each chicken breast in the flour first, making sure to coat the entire piece of chicken with flour. Shake off any excess flour. Dredge the chicken through the eggs next, making sure to coat the entire piece of chicken with eggs. Drain the excess eggs and transfer the chicken to the nut mixture. Fully coat the chicken with the mixture, pressing firmly so that the nuts stick to the chicken. Heat a large sauté pan over medium heat. Add enough safflower oil to coat the bottom of the pan. Once the oil is hot, carefully place each piece of chicken in the oil. Let the chicken sear on both sides until crisp and golden brown, about 3 minutes per side. Adjust the heat if the oil gets too hot. Transfer the chicken to a foil-lined baking sheet. Bake for about 5 more minutes, or until the chicken is cooked through. When the chicken comes out of the oven, sprinkle it with a pinch of flaky sea salt. 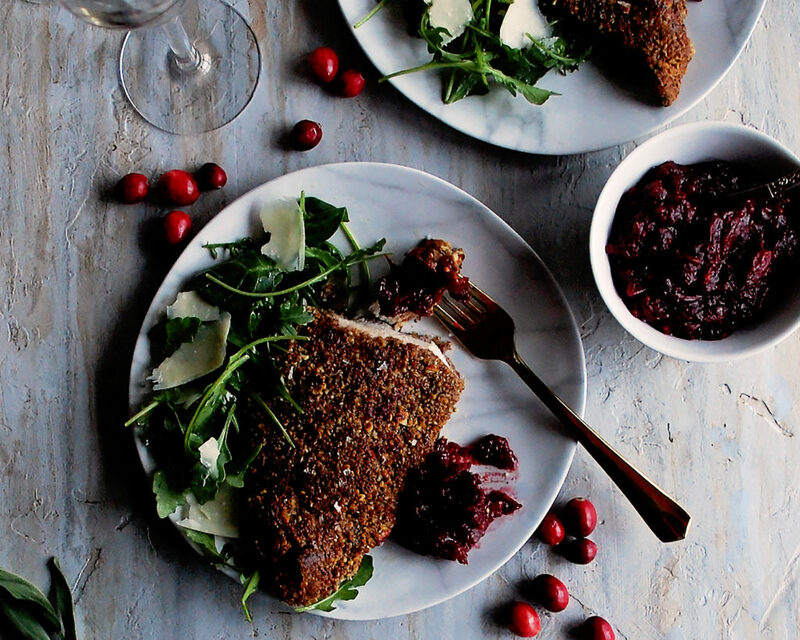 Serve the chicken with the cranberry mostarda on the side. Lastly, toss the arugula with a squeeze of lemon juice and a drizzle of olive oil (just enough to lightly coat the greens). Plate a mound of arugula next to the chicken and shave the parmesan cheese over top. 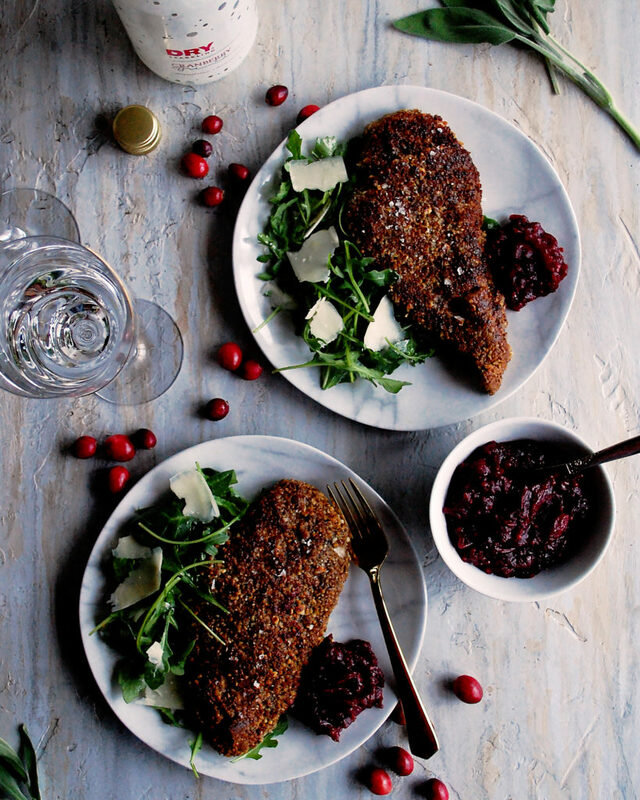 Serve with Cranberry DRY Sparkling.